Brass with black lacquer finished steel strap. 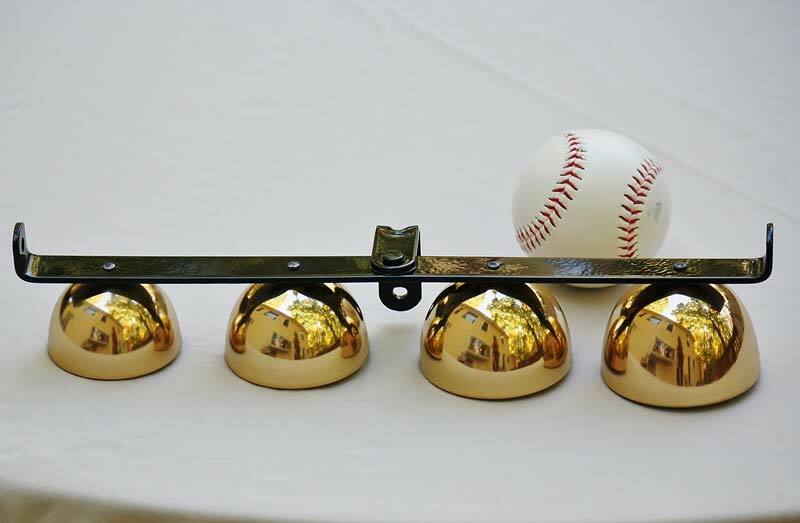 Length: 13 1/8", Height of back attachment section: 1 3/4", Diameter of smallest bell: 2 1/4", Diameter of largest bell: 2 3/4"
This ice cream bell is made from four graduated size brass bells that harmonize together to produce a lovely, chiming ring. The bells are mounted on black finished steel straps and their sharp sound can be heard from a long distance.